Moq – Mocking the Request context and verifying SQLException is raised. 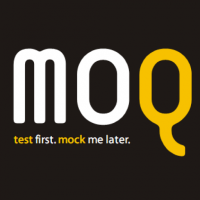 Moq – Verifying parameter values on a mocked method call. Was going down a rabbit hole trying to figure out how to check param value on a mocked method (pretty simple if truth be told). Nunit [ExpectedException] attribute no longer in use 3.0 onwards. Was converting a series of unit tests from MsTest to Nunit (due to TeamCity constraints with MsTest). Was scratching my head for a while – Coulda sworn Nunit supports the ExpectedException attribute. Quick google and it does – Look! there in the official Nunit documentation Further digging gets me to this . Ok.